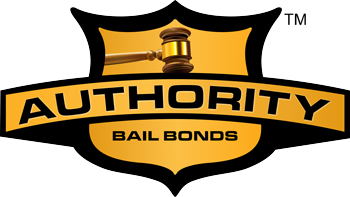 Authority Bail Bonds has over 20 years of experience. That means we have in depth knowledge of the bail process and can help you navigate it. Our team is just a phone call away. We are available 24/7 to meet your needs. At Authority Bail Bonds you are dealing with professionals who have over 20 years experience in the Alabama bail bond industry! Our President is a former law enforcement officer who has a wealth of knowledge about felonies and misdemeanor warrants, capasis warrants, typical bail and the industry in total. You can be assured that you will be doing business with the best professionals in the bail bond market. Do not pace the floor, wring your hands or hold your head in despair. We are here right now. What sets us apart from other bail bond companies is our consideration for the incarcerated and our treatment of the arrested with dignity and respect. While you have been charged and arrested, our country stands for the idea of innocent until proven guilty. We are not the judge and certainly not the jury. We do not deal in innocence or guilt. We deal only in processing swift bonds that will get you released as soon as humanly possible. 1How hard is it in obtaining bail? Your one call should be to 334-531-3819. We will take it from there. Sometimes we need to visit you at the jail and sometimes matters can be taken care of over the phone.. Traditionally a bond is 10% of your bail. However, at Authority Bail Bonds we charge half the rate at 5%. Plus we have payment plans and options. There are circumstances where the fee may be higher. However, our licensed agent will explain everything in full detail. 3When should I call you? There are two scenarios. One scenario is where you are arrested on the spot and taken into custody. In this case, we should be your first call. In other scenarios the police will call you and tell you that there is a warrant for your arrest. Prior to turning yourself in you should call us to make bond arrangements. 4My boyfriend wants me to co-sign his bond. What should I do? As a co-signer you are legally responsible for your boyfriend appearing in court each and every time. If he does not appear as scheduled, you are left holding the bag. You will have to pay the full amount. This is a serious commitment. Think carefully before you agree. 5Can I use my home as collateral? Sometimes no collateral is needed at all. But if there is reason for collateral you can put up your home, car or any other assets you may own.